Enjoying your weekend?! I’m spending it crocheting because my squidgy package arrived Saturday. Yeah! I’ve also been reviving my listing on Ravelry, so stop by at CurlsnSkirls and say hello if you’re a member. Long ago Chicago efforts are listed, but I’m working on getting things updated. Valentine’s Day is Thursday and the appropriate cotton cloth (top) is gracing a bedside table. When my voice studio was open I made seasonal table toppers (any excuse to buy fabric) and I still enjoy seeing them each year. Curvy Sewing Collective had two great posts this week. Both inclusive sizing and inclusive language are extremely important, so do take a look. And speaking of inclusive sizing, Grainline Studios (Chicago) is increasing their size range and has a questionnaire open to anyone who would like to make suggestions. For anyone looking for podcasts about sewing, you cannot beat Love to Sew (Canadian) and The Fold Line (London). Here’s that finished skirt topped with a gorgeous suede jacket from a closing consignment store in Chicago. (Yes, the skirt’s been that long in the making.) Anyone have suggestions for how to clean the suede without going to a cleaner who will charge multiple times my original cost and use icky chemicals? Here’s one last suggestion for those of us struggling to get better at, or just get back into sewing – Lucie wrote a great post last week about her own experience. Much food for thought! Meanwhile, hope everyone can hunker down and get to creating something. Creativity is positive! There’s nothing better for overcoming negatives. personal identity & what to wear . . .
Really, how important are our clothes? What do they say about us? What are they saying to others? Could changing our clothes really change our lives?? If you didn’t see this on Hila’s blog , grab a cuppa, take a break and watch it now. AUTUMN ! ! ! 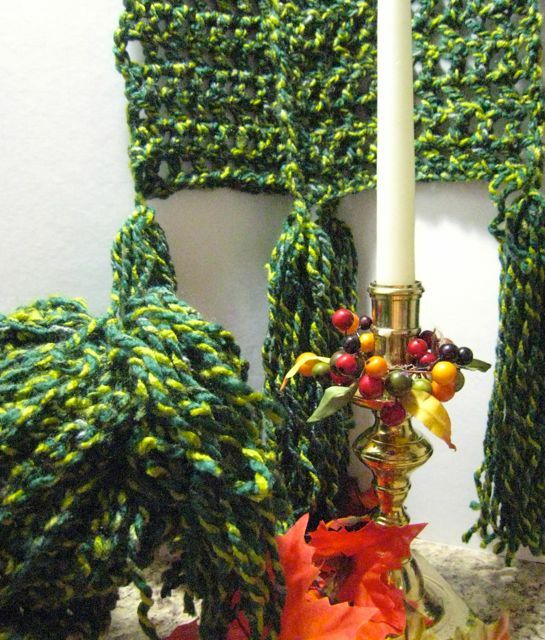 And just in time for any chilling winds, the crocheted hat & scarf are tasselled & done! this will make more sense after you’ve seen the last video – promise! Having survived a side swipe from the latest hurricane, it was going to be regular Saturday laundry & maybe cooking a meat loaf. Plus doing a bit of sewing whilst listening to “Good Neighbors,” a 1970’s BBC series. If you’d like a peek at the program, click here and here. Margo’s outfits are so 1970’s I’m putting together a small collection to be aired after I’ve finished watching the 3rd season. But about that meat loaf. Remember the meat loaf?? About half way through the bake I went out to check it. As I put my hand on the stove top it almost raised a blister. Uh-oh. Something was wrong. Seems the thermostat had baked it’s last bake and was registering its’ displeasure by refusing to turn off. Grr… Not an option. Maintenance came to the rescue, and the dead thermostat was replaced once everything had cooled off. 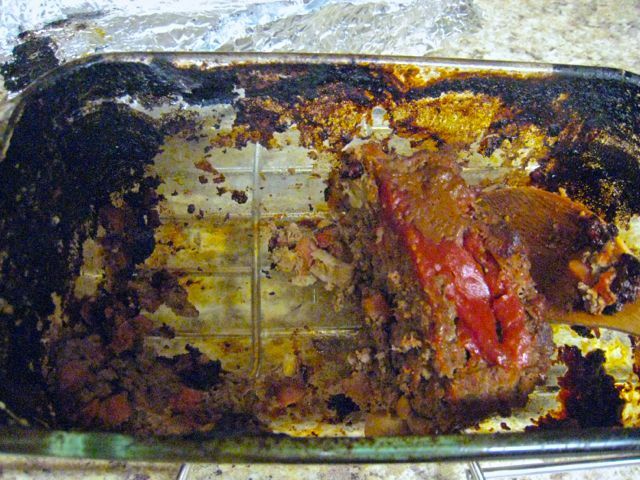 The glass pan did scrub up fairly easily, and the meat loaf is edible, thank goodness! But the meat loaf, once I got it out of the cooker, appeared to be more than done, registering well above the appropriate internal temp. Death in the Tunnel. Despite the fact of the train’s not “com(ing) to a screeching halt” in the middle of the 2½ mile tunnel, I found Miles Burton’s book both challenging and boring; however, the layers of detail kept me interested. Sergeant Cluff Stands Firm, and taciturn, as reflected by the author’s prose style. I don’t know if I like this one or not. It’s currently feeling ominous. Maybe that’s intentional, and I’ve decided its’ not best to read it before bedtime! Things are happening, so grab a cuppa and let’s start! First, a dive into Muffin-land. After hurricane Flo visited, and slightly more normalcy appeared, the grocers seemed to be almost giving away berries. I do love berries – strawberries, raspberries (my fav), blackberries (second fav) and all the rest, but I was receiving more than my greediness could eat. What to do . . . . . I considered making jam, but lacking the accoutrement and experience, I demurred. 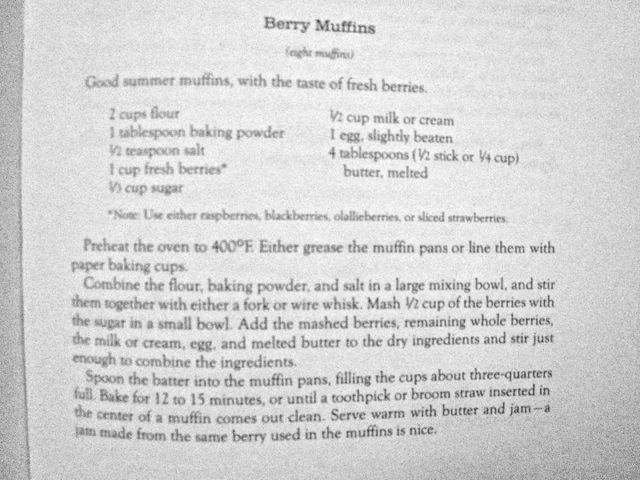 Enter muffins, with a recipe for basic berry muffins (below). Ah! I’d much rather be baking than stirring a boiling pot. the basic recipe, which I haven’t tried varying yet! We’re not talking industrial-scale amounts, but for someone who hadn’t baked in four or five months, anything was major. Then a few low temp and humidity days magically appeared. 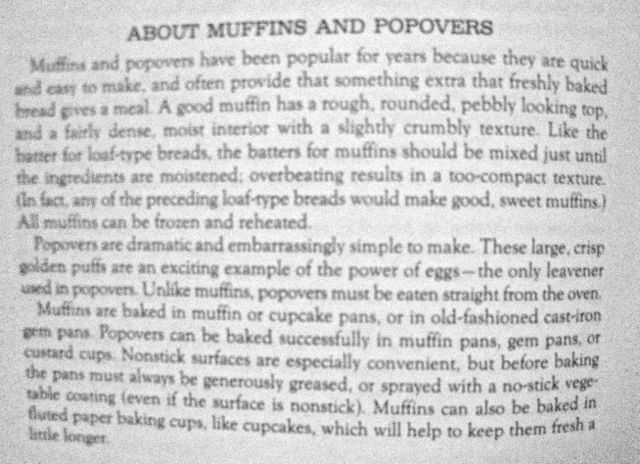 if you’ve never made muffins American-style, do read this carefully. For those who might not realise, American store-bought muffins are more like sweet cake than a true muffin. All muffin batter is lumpy because the flour is not mixed until it is lump-less. If you don’t believe there’s a reason why, just try mixing a batch of these one way, and then the other. I know which ones will get binned! It’s the chemistry/alchemy of the baking process, which I shan’t explain because I don’t know what it is! Stirred about 15 times and DONE!!! LEAVE the floured bits – this IS mixed enough!!! SEE?! they look fine after baking! That floury one on the bottom right? 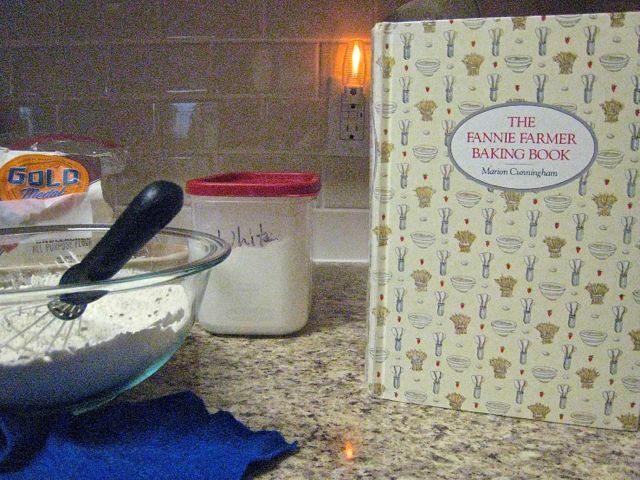 Just blow off any excess flour. Here’s the one with the excess flour . There’s one bit that didn’t get coloured by berries over on the right. It’s normal & tasted great! 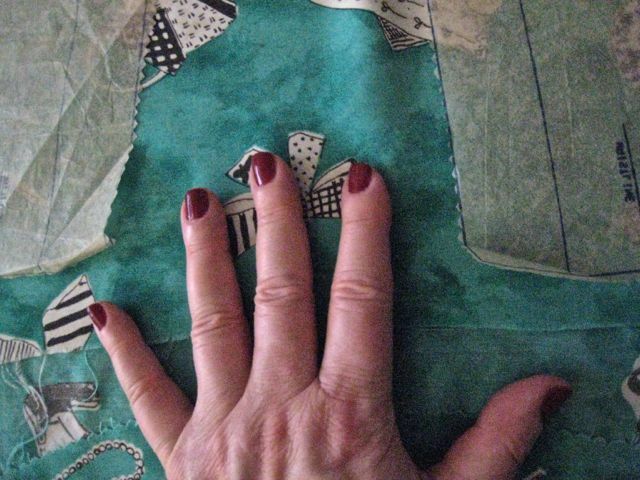 A large leftover bit of rayon from Vogue Fabric, Chicago, purchased at least 8 years ago! 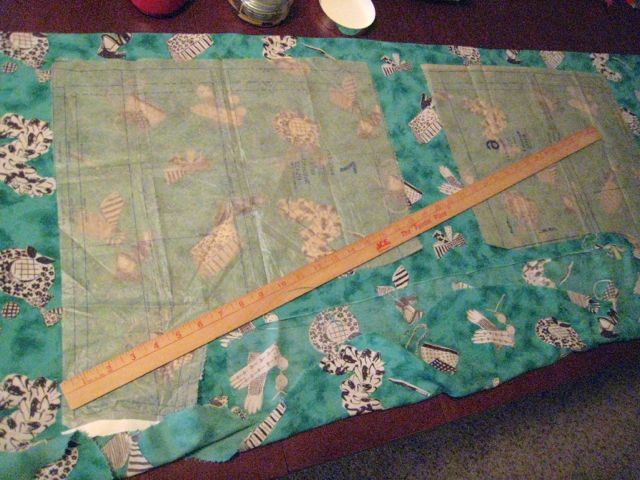 This fabric has been on my cutting table for weeks because it kept telling me IT DID NOT WANT TO BE A SKIRT. Oh. I finally listened, and realised how much more I’d wear some shorts, so the shorts pattern is now out and will fit after judicious finagling. Sometimes, procrastination thinking is a good idea. Tereza, over at Sew for Me, just wrote an interesting post on that, amongst other things (including a look at some Brazilian fabrics). Thanks to Sheila at Sewchet I spent last weekend, in-between batches of muffins, doing some more work towards Christmas. Just yesterday I finished my latest adventure in the British Library’s Crime Classics. The Lake District Murder by John Bude kept me trying to solve the mystery and was definitely enjoyable! The three books by Hay ( Death on the Cherwell & Murder Underground here, The Santa Klaus Murder here) were my intro to the series (known amongst aficionados as BLCC). Since then, I’ve branched out a bit, but only into books written with some humour. A bit of escape via an entertaining book is part of my regime for staying (somewhat 😉) balanced. There are limits to what I need in my wardrobe, which is something more and more of us are realising. 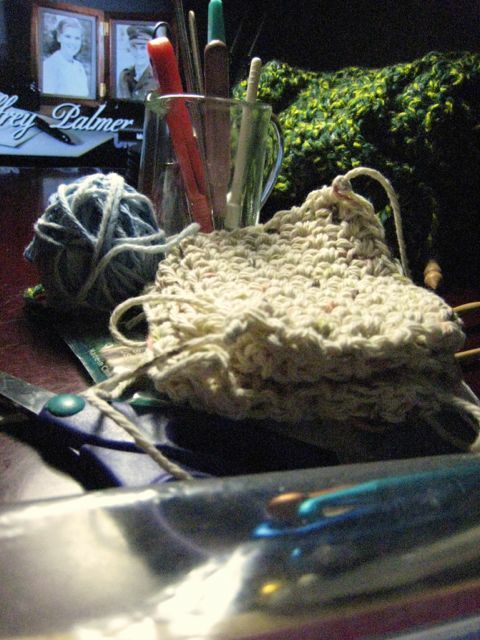 Some form of creativity, be it cooking or crochet, is a basic necessity. But more about those another time . 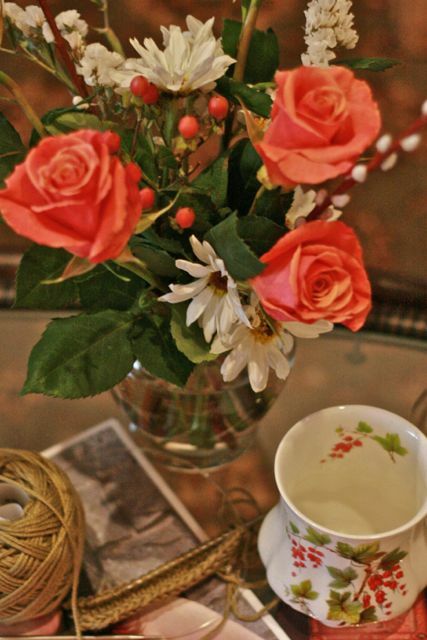 if ever . . .
. . . one needed the ambiance of hot tea and hand work, it’s now . . .
ready for another cup . . . Submitted for WordPress Weekly Photo Challenge: ambiance. I took a break from work yesterday afternoon and spent an hour listening to current YouTube clips of Dame Eva Turner, British soprano absoluta. Why? Because her “In questa regia” never fails to move me. Listening to the glory of her deep, rich sound, the resonant freedom of those high notes evident even in 1920‘s & 30‘s recording technology. . . always uplifts & refreshes me. That’s what grand opera used to be all about. Petite Dame Turner didn’t need deafening amplification, strobe lighting, or smoke. She did it with her vocal technique and her inspiration.